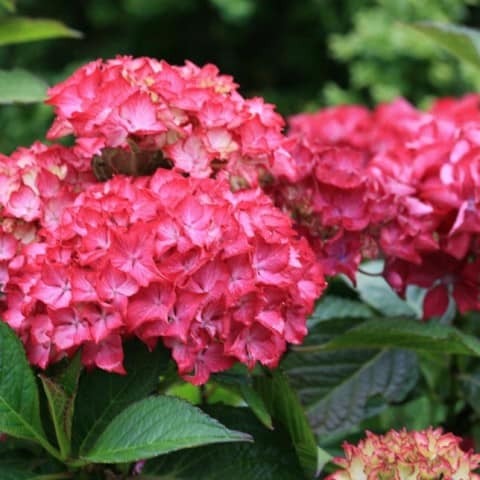 Welcome to Hydrangea Guide, with extensive information and tips on Hydrangea plants and varieties we are here to help gardeners grow there hydrangeas successfully and offer help for anyone experiencing any problems trying to grow them. Being one of the most popular garden plants in the world and are popular across the United States as well as in the United Kingdom. There is also the popular Hydrangea petiolaris which is a climbing variety that gets to a colossal 1500cm, ideal for covering large areas. The flower colour on some Hydrangea’s can be determined by the soil type, colours can range from pink, mauve, white, green to blue. With so many varieties available there a Hydrangea for all gardens including smaller varieties ideal for pots and growing in smaller gardens. There are two problems most associated with them, firstly you may be wondering why your plant wont flower even though its been in the garden for years and was flowering when you purchased it. Secondly the flower colour is also something many gardeners have trouble with (flowering pink instead of blue) , Some have the unique ability to change flower colour and its all down to the soil PH level. Not all Hydrangeas do this but the most common varieties which are the large mop head and delicate looking lacecap cultivars do. The more Acidic the soil, the higher the Aluminium levels in the soil. Iits this trace element in the soil that causes the flowers to change colour. The higher the aluminium level the more acidic the soil the flowers tend to turn blue. To help keep the flowers pink the soil needs to be alkaline, if you find your flowers are turning blue you can try applying a dressing of limestone or chalk to the soil around the plant. In very acidic soils this may not work or may need repeating yearly. Blue Hydrangeas need to be grown in acidic soil (high in aluminium) or ericaceous compost in pots. Acidic soil is around PH 4.5-5. A good organic way to try and make your soil more acidic is by mixing Sphagnum moss, composted oak leaves or compost or farm manure into the soil. For Hydrangeas in planters and tubs you can buy Hydrangea blueing compounds which help turn the compost more acidic and they can. be effective. Hydrangea with white or green shaded flowers do not change colours because of soil types. Why is my Hydrangea not flowering? Hydrangeas look fantastic when they come into flower but what if your one of the many gardeners whose shrub looks lush and green with plenty of new growth but no flowers. There are many reasons you might have problems with a Hydrangea producing very little flowers or none at all. Soils which are to rich can cause poor flowering as the soil could be to high in Nitrogen. Frost damage to young foliage can also effect flowering due to being in areas to exposed. Pruning to hard or at the wrong time can also cause a lack of flowers as Hydrangea do flower on new growth and us common for gardeners to cut off the new foliage which produces the flowers. Climbing hydrangeas (hydrangea petiolaris) need to be pruned after flowering to a good set of leaves not to hard. If you prune to hard this may reduce next years flowers as they tend to flower towards the end of the branches on new growth. Can I prune an old established Hydrangea hard? They can an be pruned back hard if needed to generate new growth and bring old plants back to life. If you do this they will probably not flowers for a few years. They can be propagated from around Autumn by taking cutting from the plant. Climbing Hydrangea are best propagating using layering. Why not quickly get a cup of tea and sit back and watch the short video below for more information on Hydrangeas and the different types.